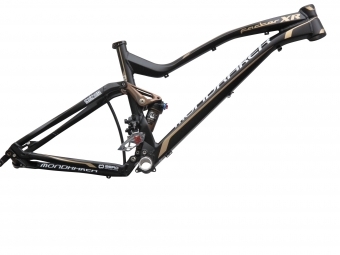 The XR Factor is THE bike for long trail rides or maration. He will answer all your needs in addition to offering a devastating look! Full suspension 140mm - Segment belonging to the all-purpose par excellence, bikes with a similar capacity to descend and climb regardless of the terrain. Headset: Onoff integrated tapered 1-1/8 "-1 / 5"